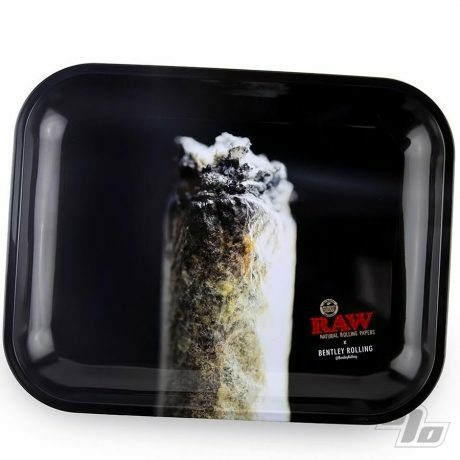 Check this new collaboration rolling tray from Bentley Rolling and RAW Rolling Papers. A picture is worth a 1000 words ;-). Fill up your RAW cones and/or roll up as usual with more than a little motivation. This rolling tray is exactly what one envisions will materialize. 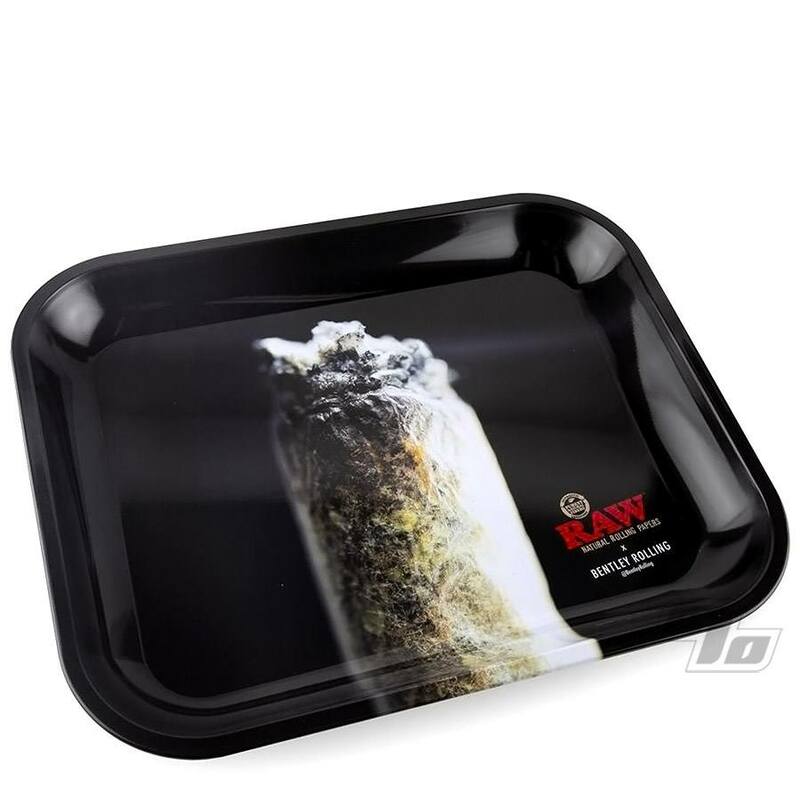 As always, RAW brings you a classic large metal rolling tray with curved edges to hold all your gear while you roll. Coming in at 11 x 13.5 inches and 1.5 inches deep, you have a huge surface to work yet still easily fits in your lap. How much RAW can you fit on this fine tray? It holds dozens!